Jaguar Land Rover India today opened a new Parts Distribution Centre (PDC) for the country, in Bhiwandi, near Mumbai. This state-of-the-art facility, spread over 70,000 square feet, will have regionally-optimised inventory supporting both Jaguar and Land Rover brands, controlled by Jaguar Land Rover’s central Inventory Management team. 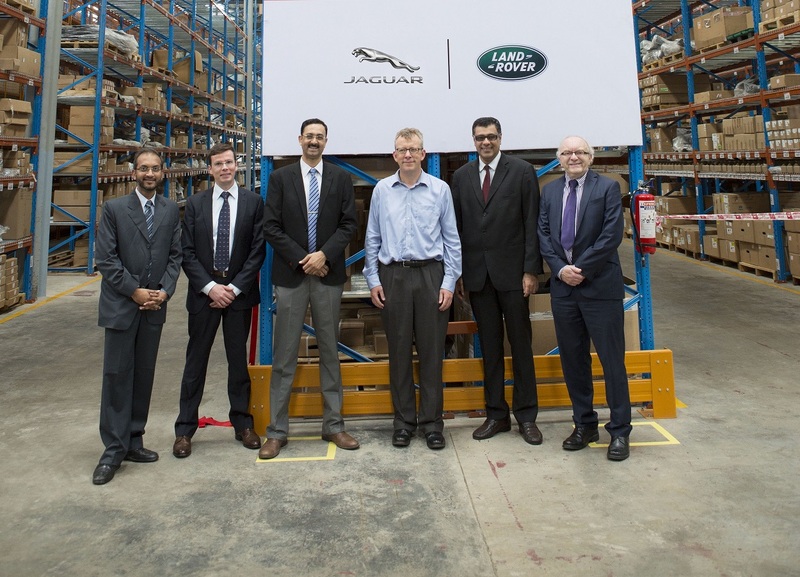 The Parts Distribution Centre will have a dedicated, on-site, Customer Service Team which will provide local customer service support to the expanding market for Jaguar Land Rover vehicles in India. The PDC will improve the regional supply chain velocity by allowing greater readiness and responsiveness to local requirements and in turn enhancing the overall customer experience. Making it one of the safest warehouses in the country, this new facility is equipped with a state-of-the-art fire-fighting system aided by very early smoke detection apparatus which is far more sensitive than a conventional system. The Parts Distribution Centre also has in-rack sprinklers for better safety, in addition to overhead sprinklers. The Jaguar range in India includes F–TYPE (starting at INR 126 Lacs in CBU form) and locally manufactured XF (starting at INR 47.15 Lacs) and XJ (starting at INR 96.05 Lacs). The Land Rover range in India includes the flagship Range Rover (starting at INR 183 Lacs in CBU form), Range Rover Sport (starting at INR 116 Lacs in CBU form) and Discovery 4 (starting at INR 111 Lacs in CBU form) and locally manufactured Range Rover Evoque (starting at INR 48.73 Lacs) and Freelander 2 (starting at INR 41.82 Lacs).